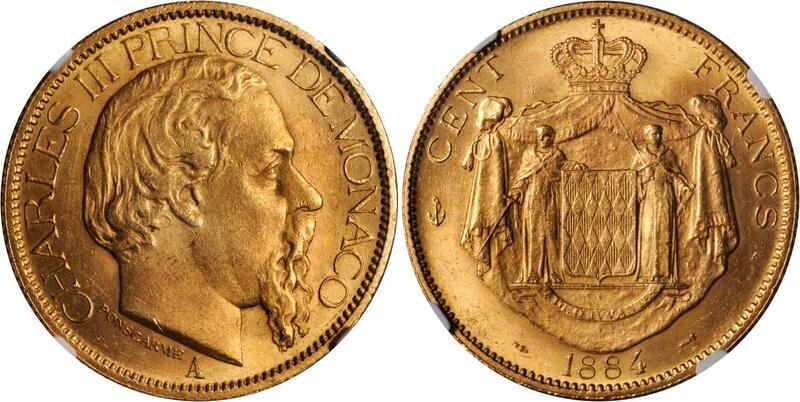 MONACO, Charles III, one hundred francs, 1884 (KM.99). 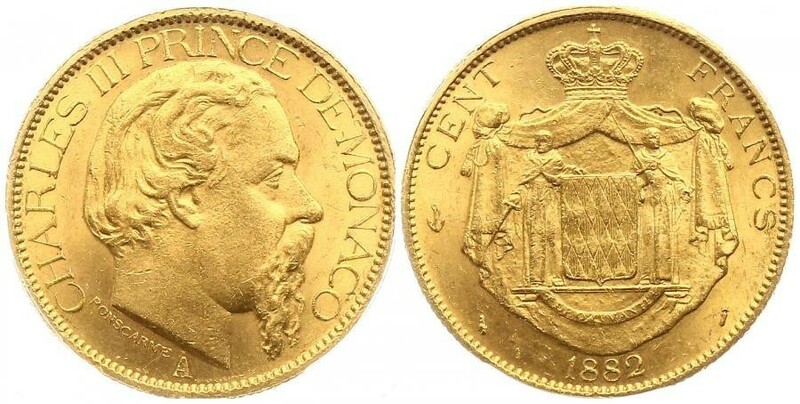 Good extremely fine. 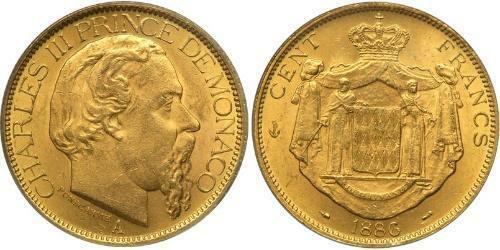 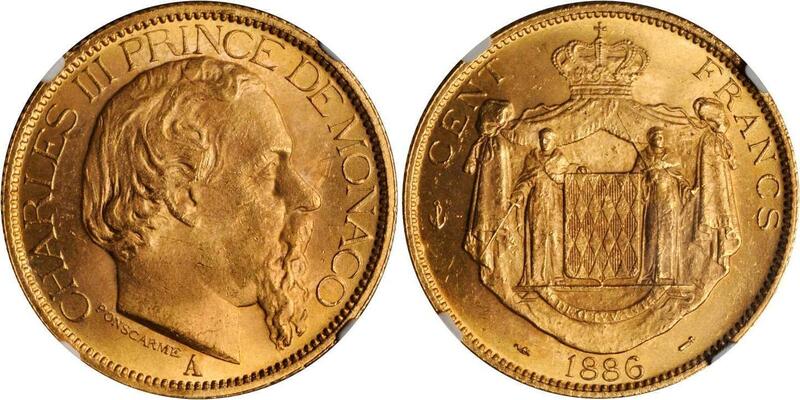 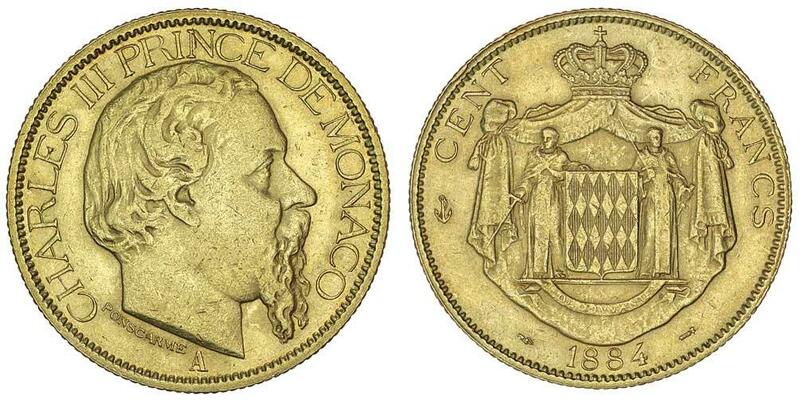 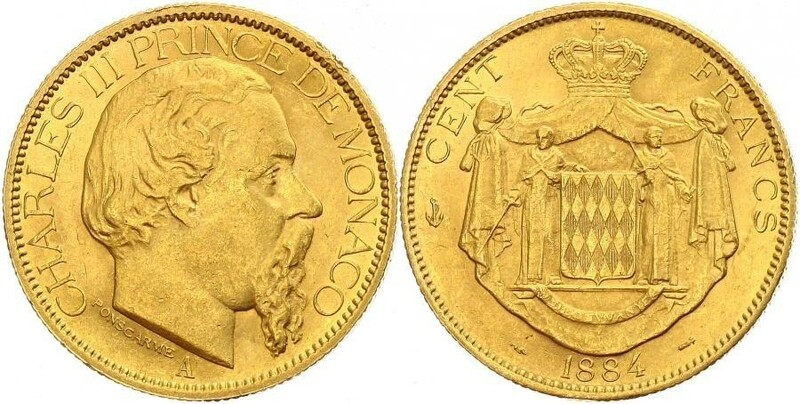 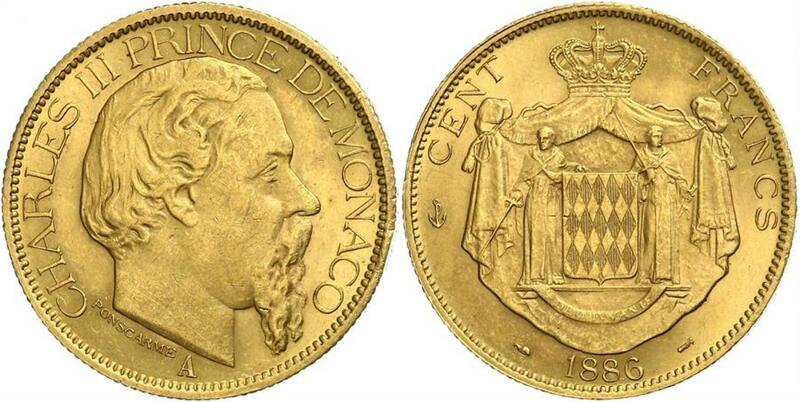 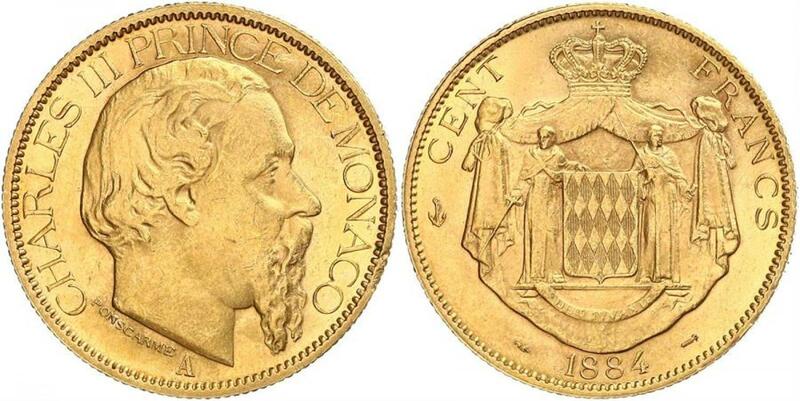 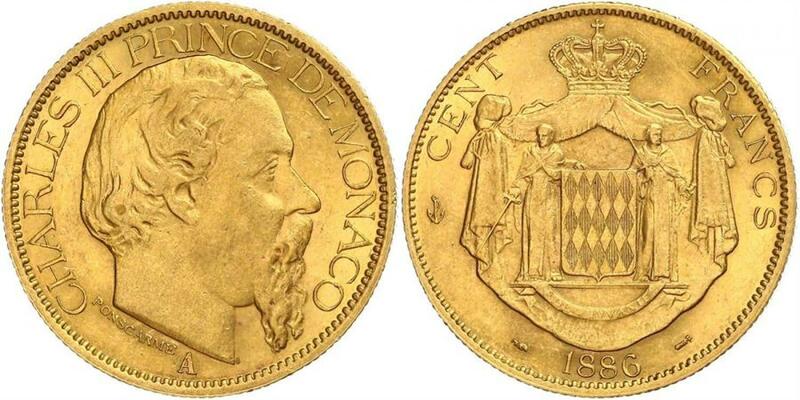 MONACO, Charles III, one hundred francs, 1886 (KM.99). 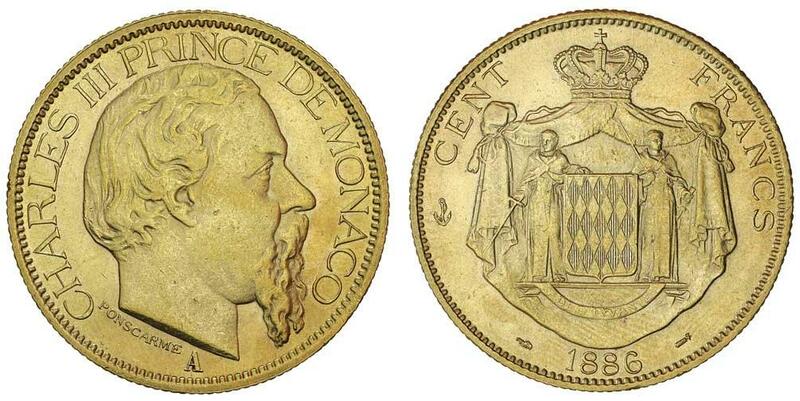 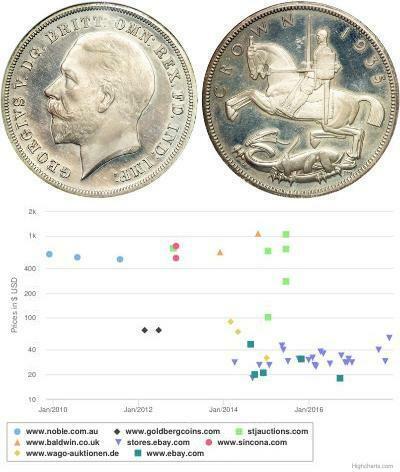 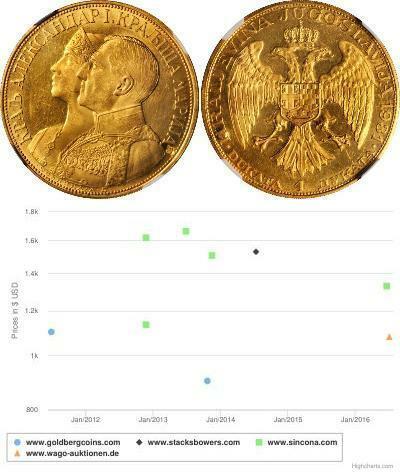 Nearly uncirculated.